The Department of Home Affairs have issued major changes to the General Skilled Migration points tested visas. will now need to aquire a new pass mark of 65 points, an increase of 5 points from previous pass mark of 60 points. This means, applicants who are currently on 60 points and wish to lodge for permanent residency from the 1 July 2018 will no longer be able to do so. 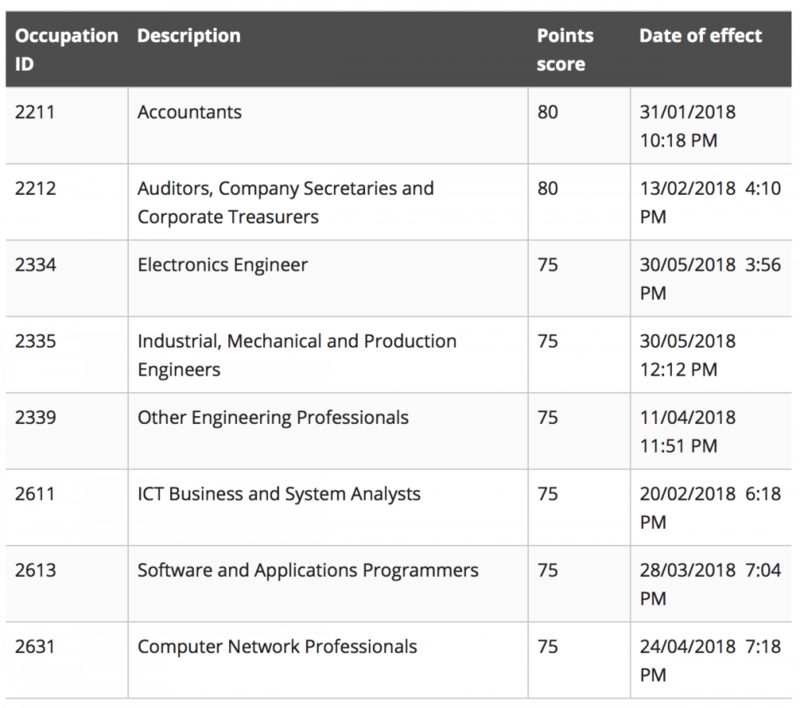 The 5 points increase reflects both the elevated level of interest and the high calibre of potential applicants who express their interest in the General Skilled Migration program. 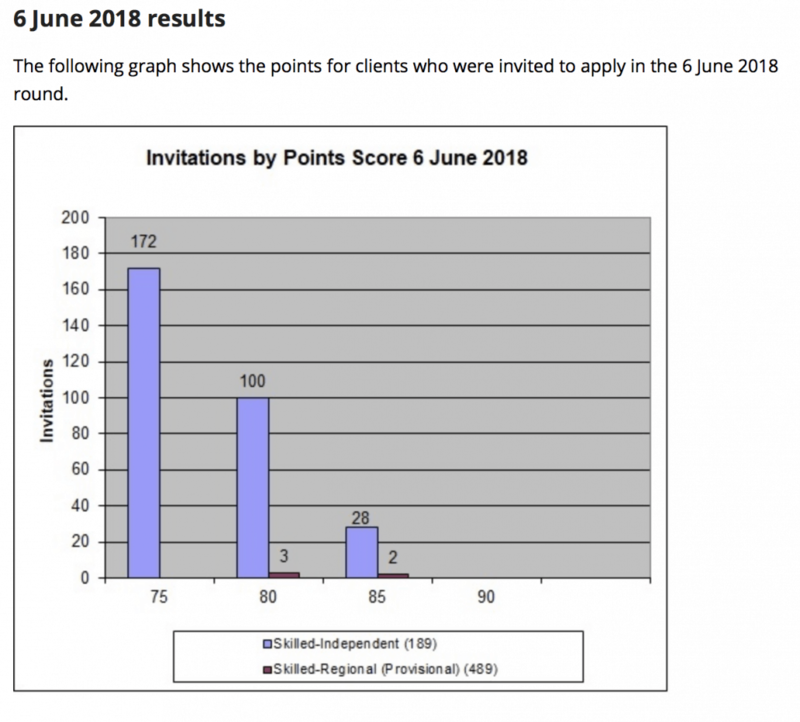 Although the minimum point requirement was only increased to 65, you can see by the graph below that invitations were only issued to applicants with 75 points & above in June 2018. The Department of Home Affairs states that the highest ranked clients by points score are invited to apply for the relevant visa. Clients who have equal points scores are invited in order of application. Expressions of Interest with earlier dates of effect are invited before later dates. SkillSelect first allocates available places to the Skilled Independent Visa (subclass 189) and then the remaining to Skilled Regional Visa (subclass 489). If all allocated invitations are sent to the 189 visa applicants, there will not be any invitations issued for the 489 visa applicants in these occupations. If you are interested in applying for a skilled visa, click here to take our online points test and find out if you are eligible to apply.